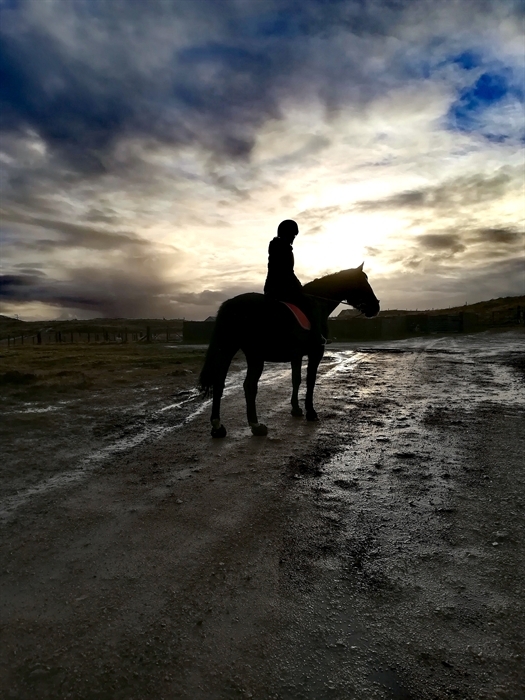 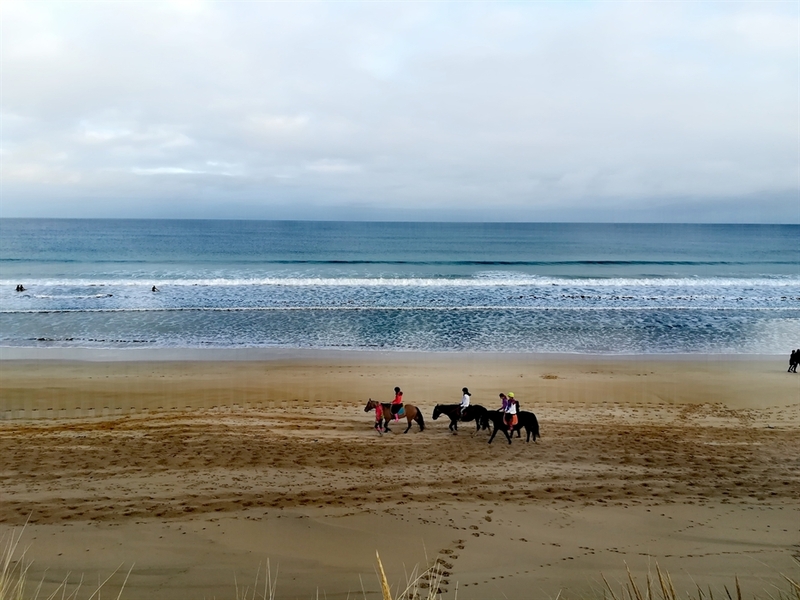 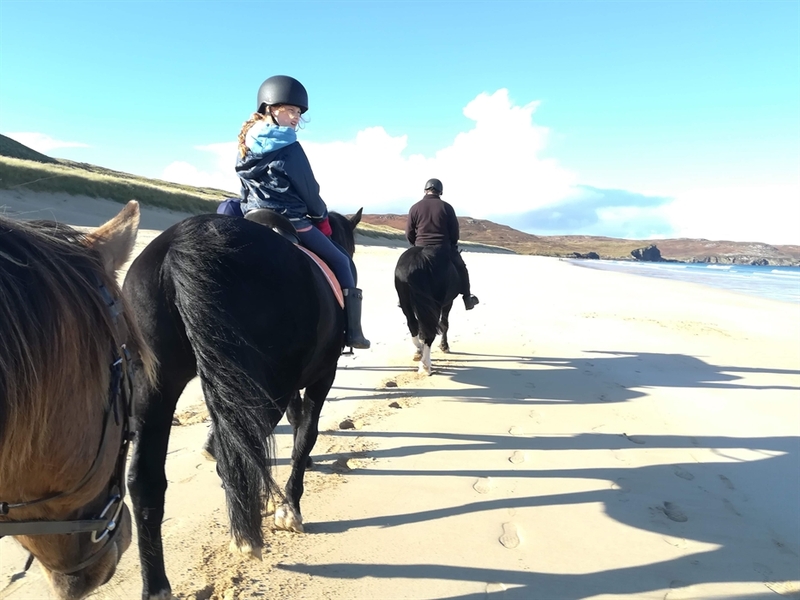 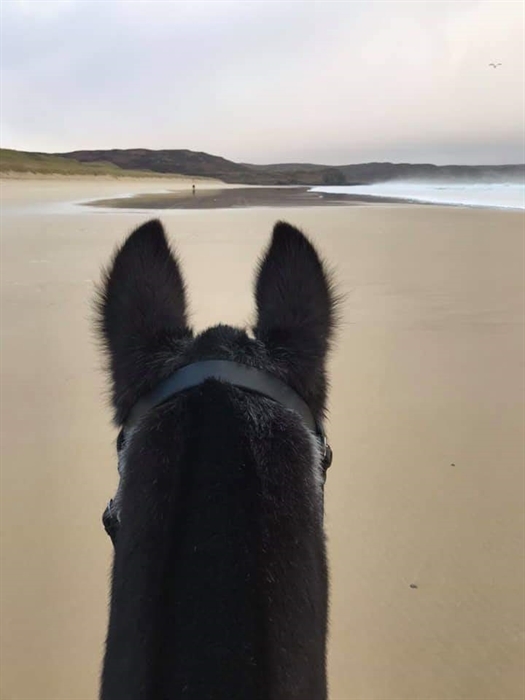 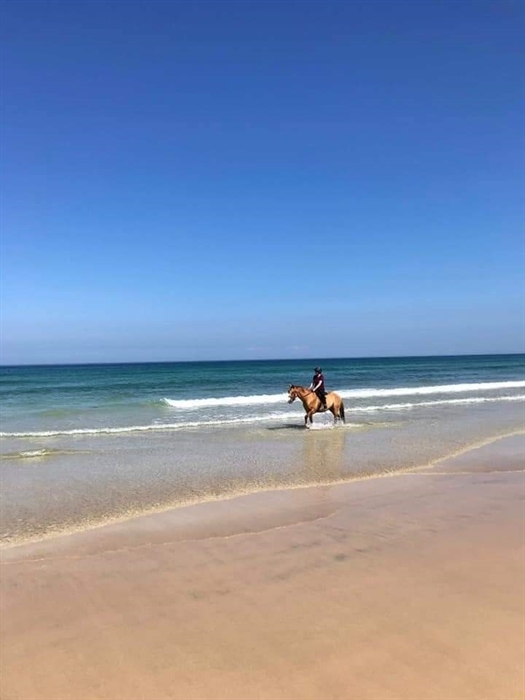 Traigh Mhor Pony Trekking offers a range of guided hacks and treks along some of Lewis's most stunning, rugged and beautiful coastal landscapes. 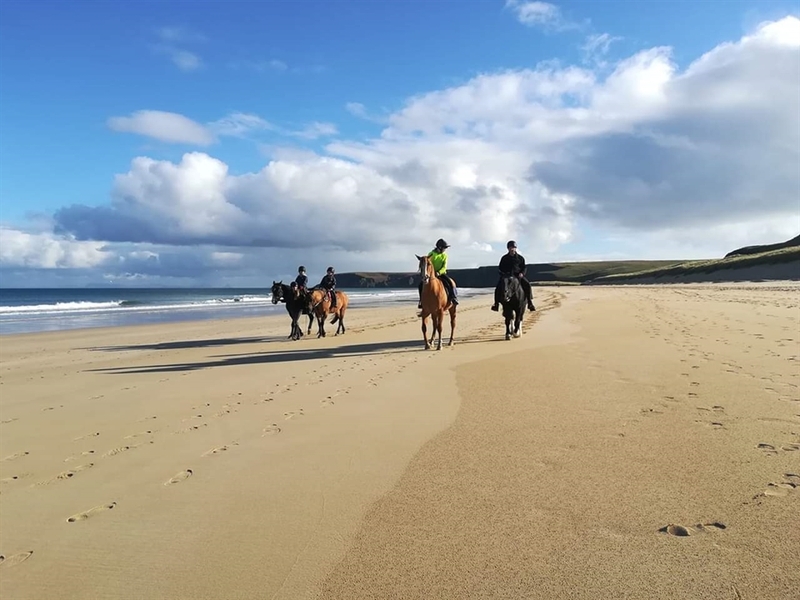 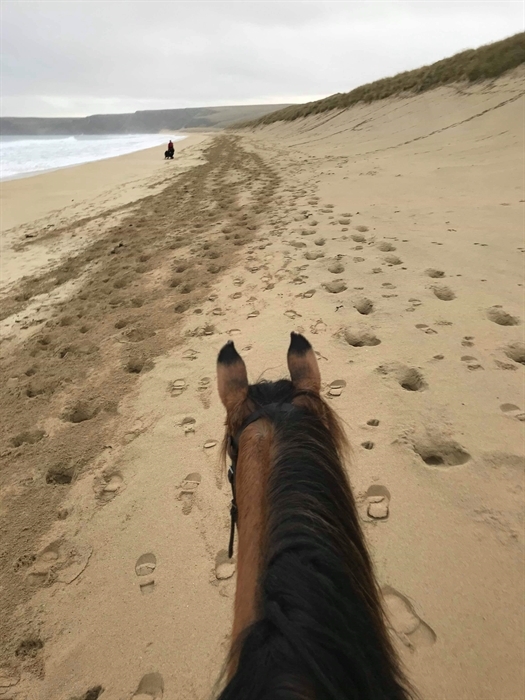 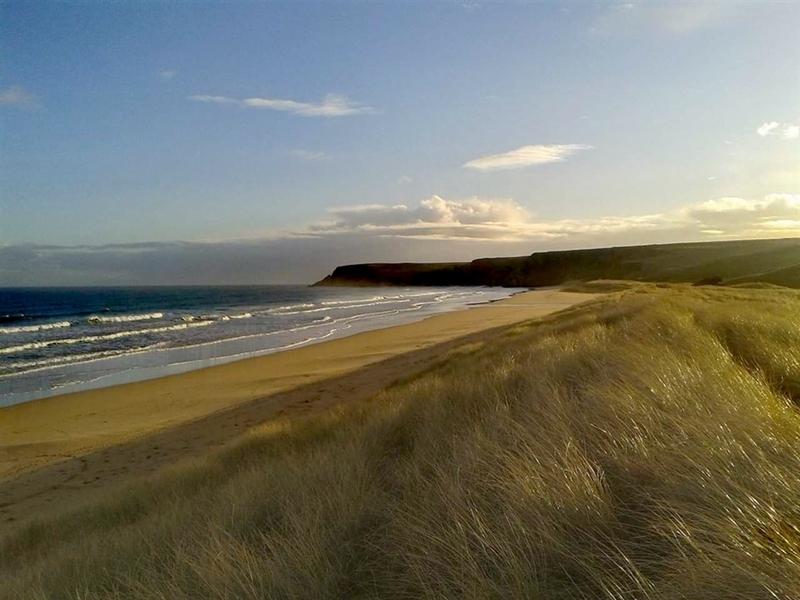 Located in the quiet crofting community of North Tolsta, the trekking centre offers rides to all ages and abilities from 1 hour to 3 hours long, including rides down onto the famous Traigh Mhor sands. 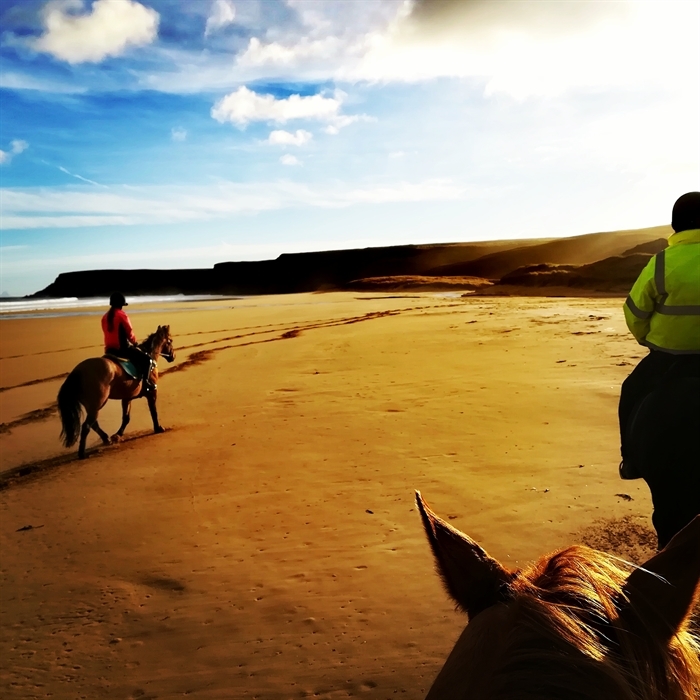 Our routes and trails have excellent views and plenty moments for those prized photographs. 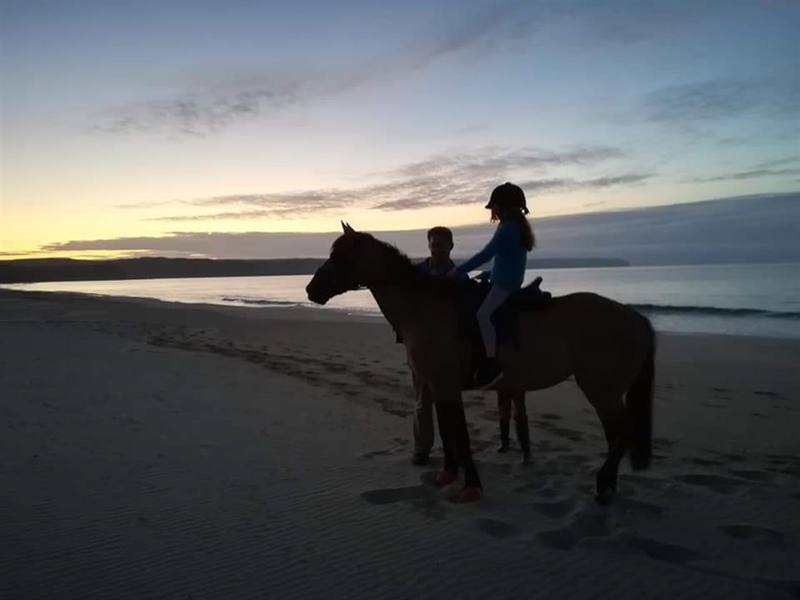 During the summer holidays, the centre also offers a riding holiday package. 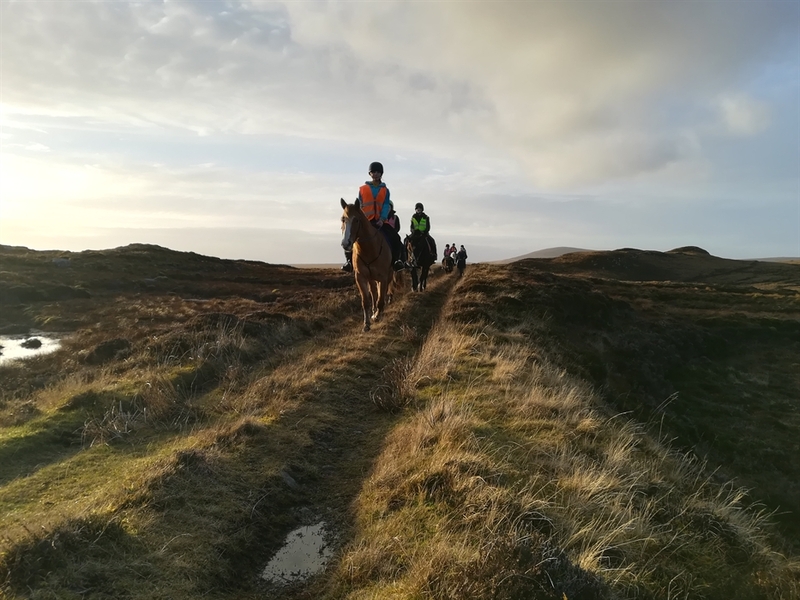 Choose between a 3-day and 4-night option and the longer 6 nights 5-day option with B&B accommodation, packed lunch and an optional evening meal. 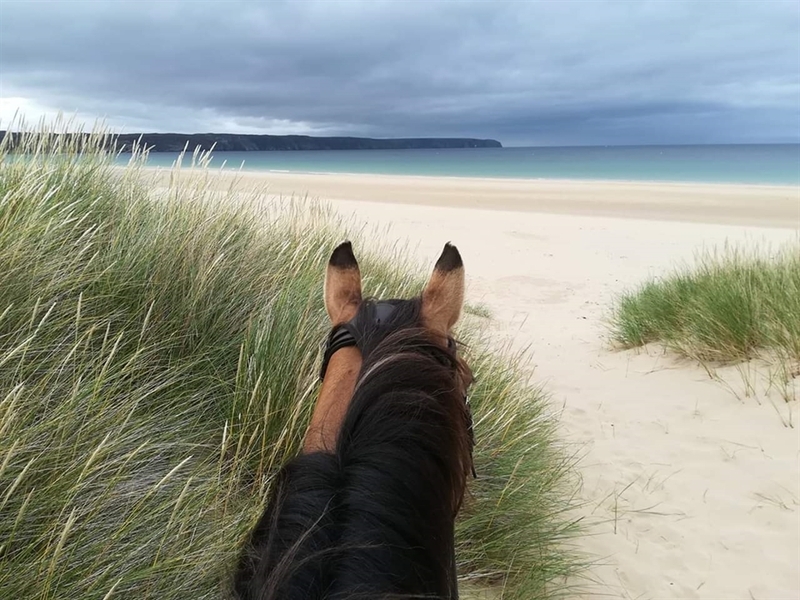 With 3 hours riding per day including exploring our beaches, moorland and crofting landscapes, lessons and picnic rides. 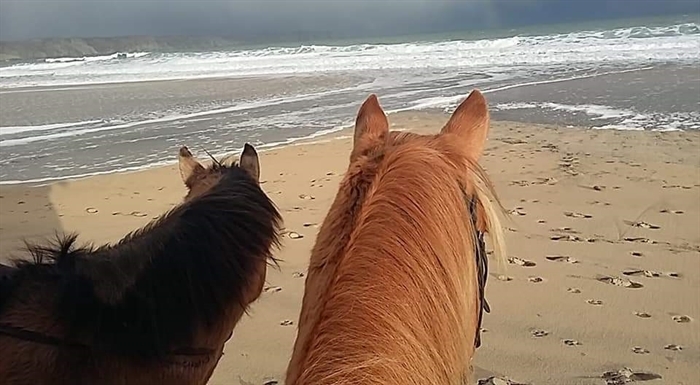 There will be plenty opportunities, for caring, cleaning and cuddles with your holiday horse. 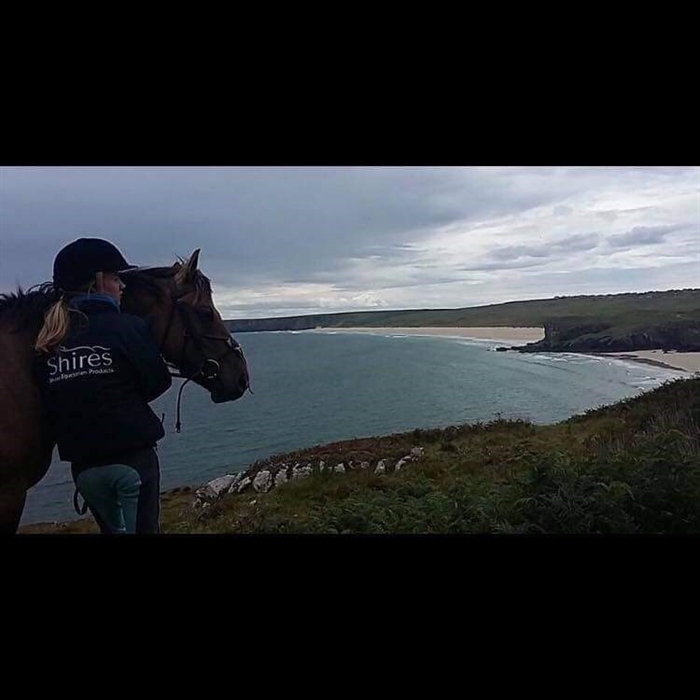 All abilities catered for, however, under 18's need to be accompanied. 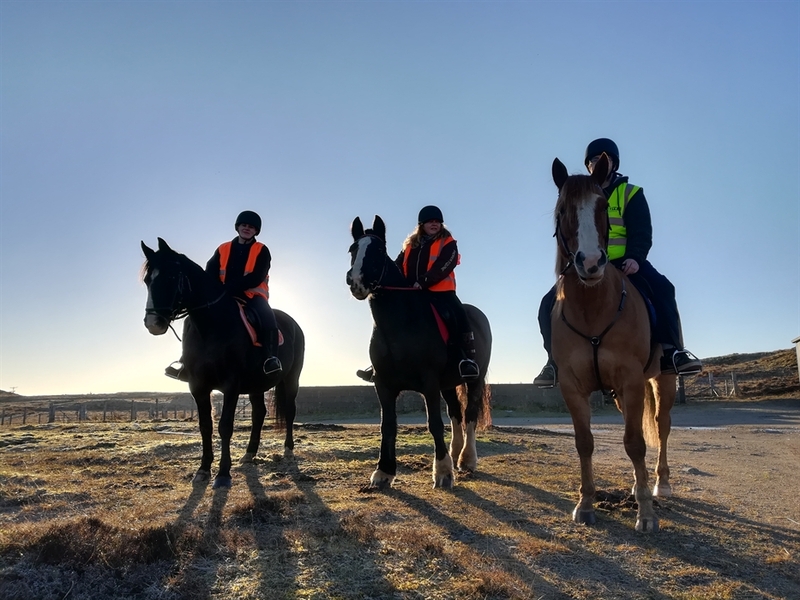 Also on offer are lessons and special events such as own a pony days, Santa Trots, mid-summer rides, annual July show, games days and saddle clubs for both adults and children.